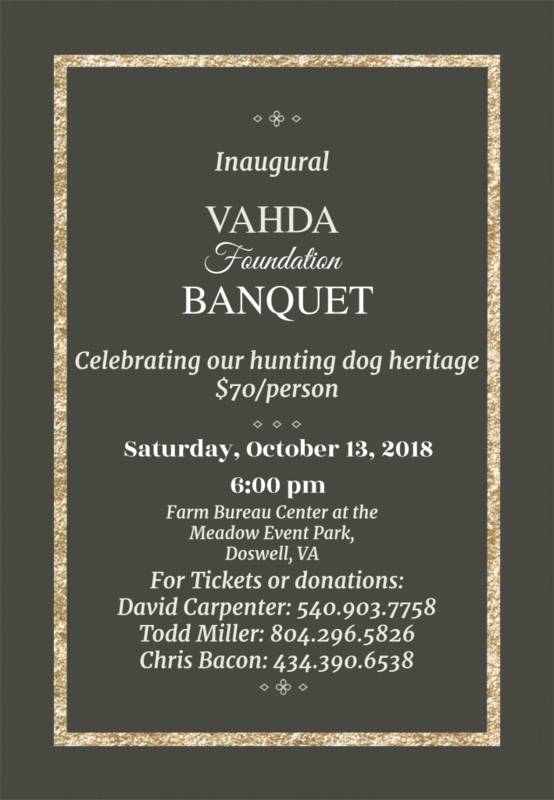 The Virginia Hunting Dog Alliance Foundation will hold its inaugural banquet on October 13, 2018. It will be held at Meadow Event Park (Farm Bureau Fair Grounds) in Doswell, Virginia at 6pm; the event opens at 4:30pm. This is a statewide event! 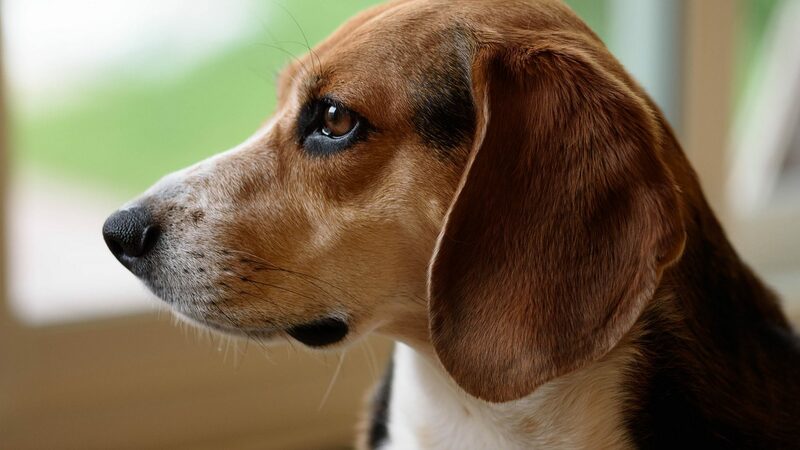 There will be raffles and auctions, good food, and a lot of fun. 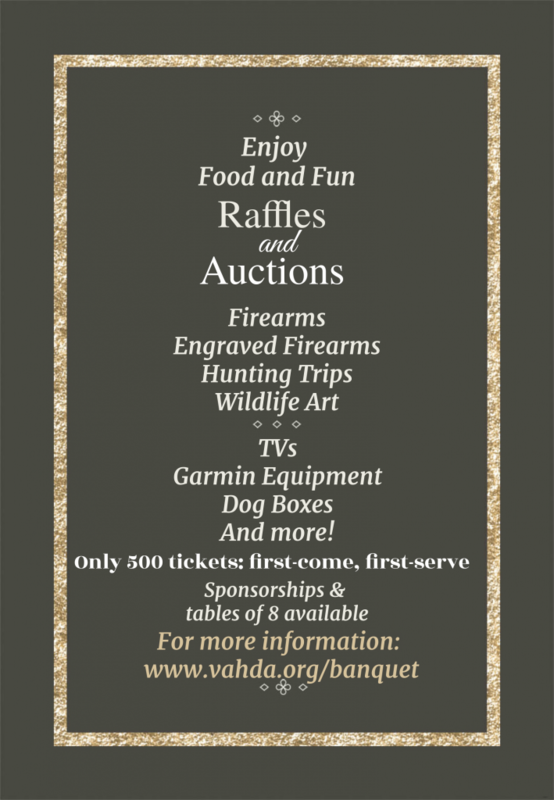 Tickets are on sale and will be available through county chapters or by contacting one of the banquet coordinators. Tickets are $70 each. There will be 500 tickets only, so don’t wait to buy yours! 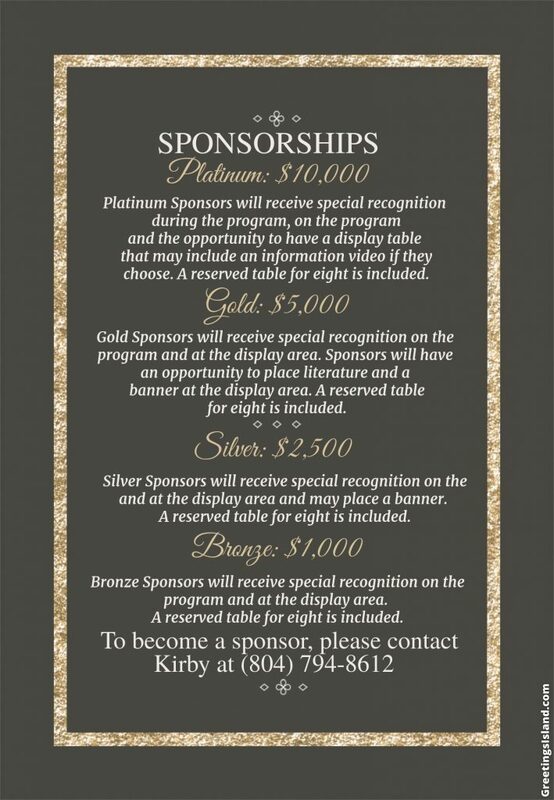 Sponsorships, donations, and tables of 8 are also available. Please contact one of the banquet coordinators below for tickets, sponsorships, donations, or tables!